Posted on June 20, 2013 by Peter Schilling Jr. 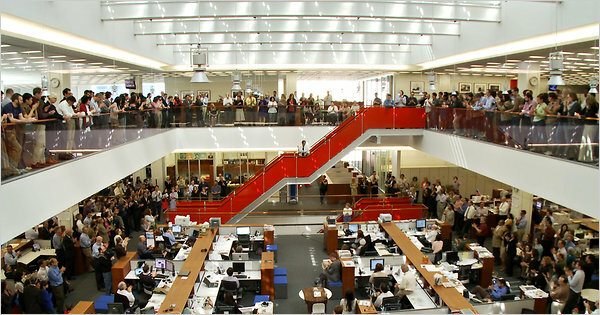 This weekend, get an up close and personal look at the nation’s biggest, and some say best, newspaper, the august New York Times. Page One: Inside the New York Times is a thrilling documentary about the paper’s stuggles with the advent of online journalism, and specifically when the Times ran a story using material from the controversial website, Wikileaks. Sponsored by the Minnesota Chapter of the Society of Professional Journalists, this is one flick that news junkies won’t want to miss! Shows Friday and Saturday, 7:00 and 8:45; Sunday at 5:00 and 6:45. Get tickets here.